Official LineageOS 14.1 is now available for the Xaiomi Redmi Note 4. The ROM is based on the latest version of Android 7.1.2 Nougat. 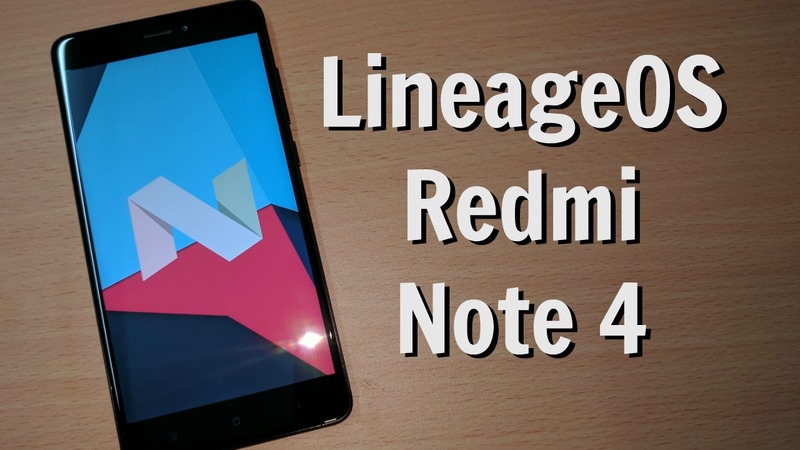 If you are the Redmi Note 4 user and want to install and Download LineageOS 14.1 On Redmi Note 4, here is the complete guide which you can follow on your phone and install the same on your phone. To download LineageOS on your phone you need a rooted phone with custom TWRP recovery. You can install the TWRP custom Recovery on Redmio note 4 from here. The installation process is very easy and all you have to download two files on your Phone. First one is the LineageOS zip file and the second one is Gapps zip file to install the Google apps on the custom ROM. The ROM comes with lots of new features and VOLTE is also working for the JIO sim users. So let’s get started and Download LineageOS 14.1 On Redmi Note 4 [Android 7.1.2 Nougat]. Read all the steps very carefully and follow all of them one by one on your phone. Technobuzz.net is not responsible for any damage that might happen to your phone during this process. Do take the full backup of your Redmi Note 4. Make sure that your phone’s battery is fully charged. Download LineageOS ROM zip file here and save the zip file on your phone’s internal Memory. Download the Google Apps zip package here and Save it in your phone. You need to flash this zip file to run the Google Application on your phone. 1. Save both downloaded zip files on your phone and remember the location of the file. 2. Now you h ave to boot your phone in TWRP custom recovery mode. To do this first switch off your phone. Now Hold Volume Up + Power button. 3. Once your phone in TWRP Recovery Mode. Go to the Wipe > Advanced Wipe and Select System, Data, Cache and Dalvik and Swipe to wipe. 4. now go back to the home screen of TWRP recovery and Tap on the install option and Locate the LineageOS zip file and Flash it on your phone. 5. Once the ROM is flashed, flash the Google Apps zip file to install the Google Application on the Custom ROM. 6. Once both the files are flashed. Reboot system. Now your Remi note 4 will boot and the first boot will take some time near about 5 minutes. Now your Phone is running on the LineageOS 14.1 Android 7.1.2 Nougat. If you facing some problem with this guide then leave the comment below.